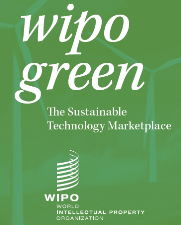 The WIPO GREEN database and network matches owners of new technologies with individuals or companies seeking to commercialize, license or otherwise distribute a green technology. Its objective is to accelerate innovation and diffusion of green technologies and contribute to the efforts of developing countries in addressing climate change. This blogger wonders how long it will be before the issues faced by the ICT sector with regard to standard-setting and FRAND licences are endemic in the green technology sector too. A big difference there is that the perceived public interest in getting businesses to use green technologies may have an impact on both the rate of royalties that a court regards as reasonable and the exercise of discretion in granting injunctive relief. Thoughts, anyone? I think this is a fascinating development. The pharma industry is learning at the moment that it's not good enough to develop a drug that works. It must work substantially better than existing drugs if customers are going to switch. So the marketplace is important in determining research strategy. I suspect the clean/green sectors are going to have learn the same lessons. It's not good enough to develop a new green technology that works. One must also factor in why it would displace an existing technology, plus of course whether the intended host country can afford it, maintain it, etc. Giving green technologies a boost in the way WIPO is doing is laudable, but should not prevent new technologies undergoing the rough and tumble of being subject to all relevant criteria before they are adopted. All of this is of course complicated by the fact that planet urgently needs saving and the corporate sector is not doing enough to help.